For many caravans, their low starting price quickly becomes apparent. Not for this one. 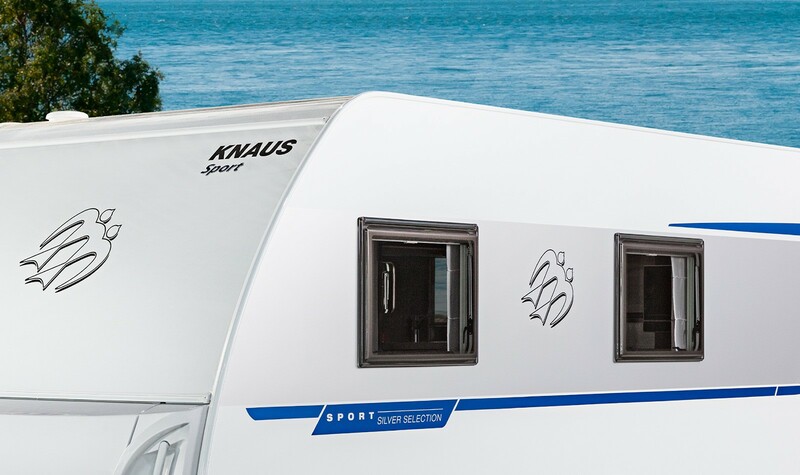 KNAUS SPORT has everything that has been making its bigger brother so successful for so many years. This does not only include the high‐quality exterior design, but also a wide range of equipment that makes the SPORT so comfortable and safe. Gas bottle locker without loading sill. It does not really matter how big your SPORT is, thanks to the high‐quality chassis and tried‐and‐tested stabilisers, you can easily navigate even the most difficult turns. 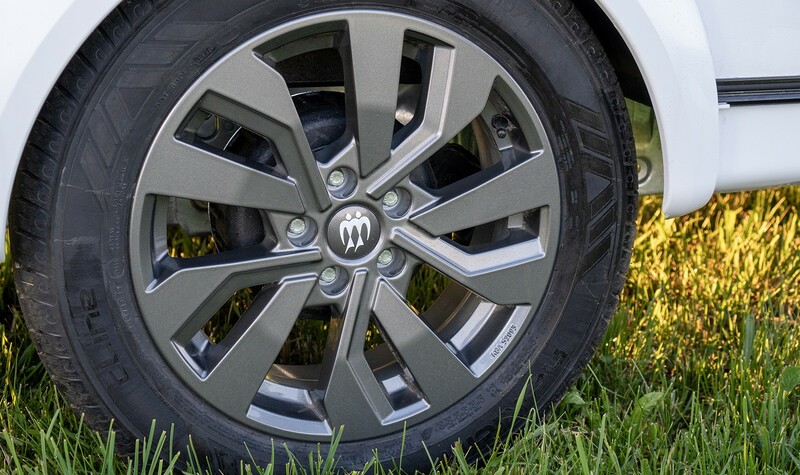 The 17“ KNAUS alloy wheels are particularly dynamic and are a distinctive symbol. 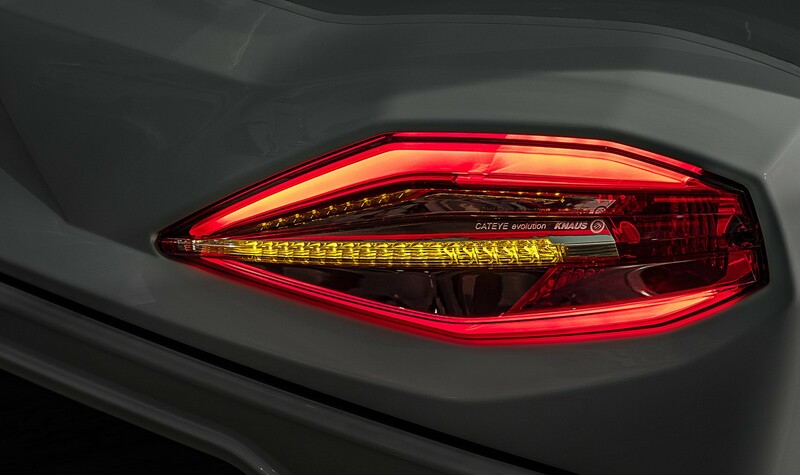 Exclusive KNAUS CATEYE evolution tail light ensures increased road safety. 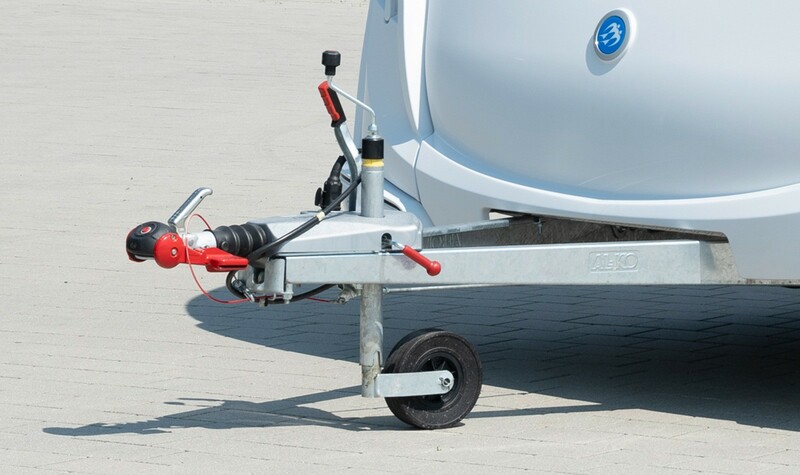 Loading errors are avoided with the jockey wheel incl. support load indicator (optional). Sleep soundly, even when in a hailstorm: the high-strength GRP roof can take a beating.